Best Quality Rectangular Baskets - Eagle Butchers Blocks; beautifully hand-crafted butchers blocks made from beech and pine, suitable for butchering, commercial kitchens or general kitchen use. 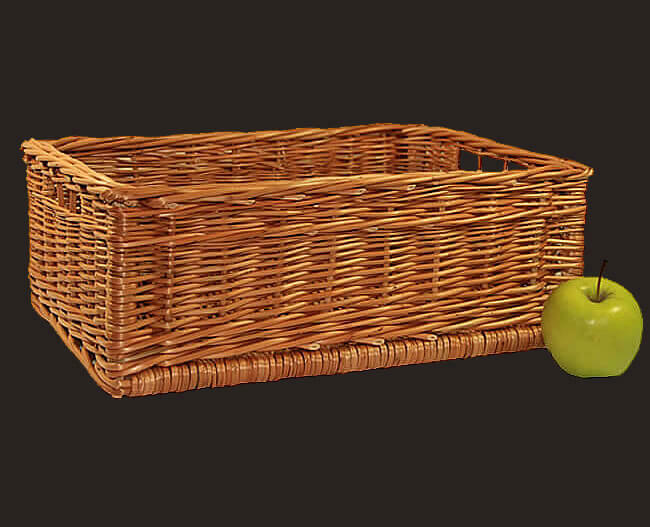 Beautiful superior quality, sturdy rectangular kitchen storage basket with finger holes. Light buff colour that complements the beech of the butchers blocks perfectly.